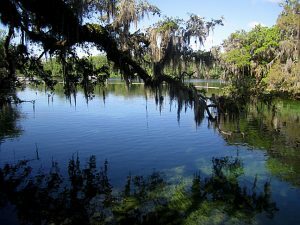 Even with all of its natural and manmade appeal, Florida would not attract millions of visitors every year if its water resources were not maintained in pristine condition. Since 1965, Phoslab Environmental Laboratories has offered services that play a vital role in maintaining, protecting, and improving the state’s water supplies. The Florida Department of Environmental Protection (DEP) publishes and enforces a number of rules that augment EPA standards across a number of different water resource areas. –	Statewide management of residential water supplies, wastewater and stormwater, and beach nourishment. The EPA’s and the Florida DEP’s rules are not static, but evolve regularly to reflect new challenges facing Florida’s water supplies. Phoslab monitors those rules and evolves its own testing and analysis services to match all new federal and state regulations. The federal government exempted Florida from a 2018 decision to expand offshore drilling opportunities, ostensibly as a means of supporting the state’s tourism and coastal industries. That decision, however, has faced multiple objections from other states and parties who believe Florida had unfairly received preferential treatment. The state is also at odds with the federal EPA over permits for dredging or filling wetlands to make it easier to build on reclaimed wetlands. Developers have long complained of delays in procuring permits from the federal EPA. The state is considering legislation that will transfer permit authority to the Florida DEP. Phoslab’s central Florida location gives it the ideal perch to monitor the debates over drilling, dredging, and other commercial development topics that will inevitably affect the state’s water resources. Our water testing and analysis services give developers and regulators the objective information they need to understand the impact of their decisions on that water supply. Phoslab Environmental Laboratories in Lakeland, Florida, offers water and environmental testing services in throughout the state. Our services are fully accredited by the State of Florida. We understand the challenges that regulators ands private developers must address when they deal with any project that might affect the state’s water supplies.